Vesuvius with chocolate: an explosion of taste! The world of pastry is a world full of curious anecdotes and exciting stories, which every time gives us some really interesting ideas to tell. This week the attention falls on a particular anniversary that is right to remember. Perhaps not everyone will know, in fact, that there is a day of the year in which a sort of birthday of sweets is celebrated, a truly sui generis celebration, or Chocolate Cake Day. The Chocolate Cake Day, is celebrated every year on January 27th, and is a very popular event especially in the United States. This event does nothing but pay special attention to chocolate desserts compared to all others, a special day when chocolate becomes the real protagonist. It is certainly not the first time that American traditions come to our beautiful country, conquering it and it is a bit of what happened for the Chocolate Cake Day that is making its way into homecoming events. But how is Neapolitan pastry preparing to celebrate this event? Let’s find out together. The Gran Caffè Gambrinus, on the occasion of this curious anniversary of chocolate, proposes one of its desserts par excellence, namely the very young Vesuvio, this time in the chocolate variant. This culinary creation, in which chocolate plays a very important role, despite having been realized for a very short time, has already conquered the heart and the palate of the Neapolitans. His chocolate variant then makes it even more popular, so as to fully acquire a place in the cabaret of pastas on Sunday. 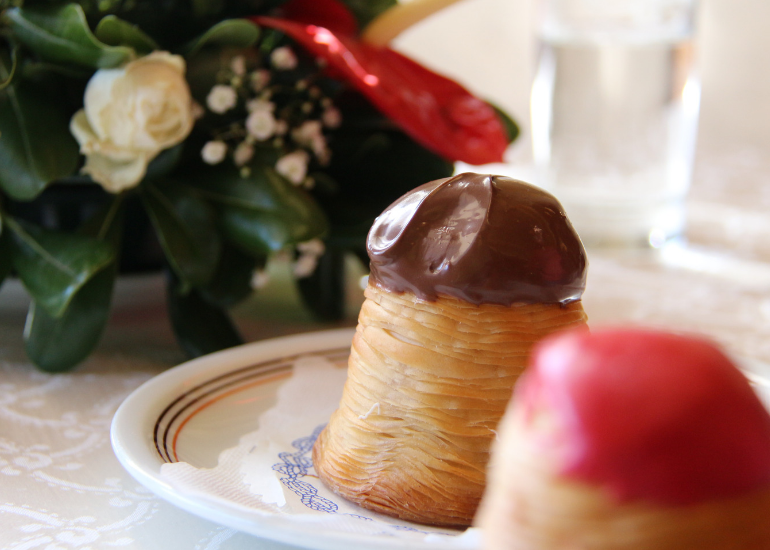 The chocolate Vesuvius is certainly an excellence of the great Gambrinus confectionery where every bite corresponds to a true eruption of taste. So, if you also want to celebrate this great event, do not forget January 27 to stop at Gran Caffè Gambrinus and order a sweet Vesuvius, strictly chocolate.